Sign ups for our Easter Sunday Baptism are now closed. Our next baptism service will take place in September. Thank you for your interest in being baptized! There are many stories of people being baptized in the Bible. But what is the purpose of baptism and what is its significance for our Christian life? The Bible first mentions baptism in its accounts of John the Baptist. This was under the old covenant, when baptism was for the remission of sins. “I indeed baptize you with water unto repentance, but He who is coming after me is mightier than I … He will baptize you with the Holy Spirit and fire.” Matthew 3:11. With the establishment of the new covenant, because of the death of Jesus on the cross, baptism is now about more than the forgiveness of sins—it is a covenant to live the life of a disciple before God. Peter compares baptism to the flood in Noah’s time. 1 Peter 3:18-21. The Bible says of Noah’s time: “Then the Lord saw that the wickedness of man was great in the earth, and that every intent of the thoughts of his heart was only evil continually.” Genesis 6:5. Just as the waters of the flood put an end to this evil in the Old Testament, baptism represents an end to living a self-centered life of doing my own will and beginning a new life of doing the will of God in the New Testament. A person who has made a lifetime commitment to follow Jesus, obey the Word of God and live a new life is a candidate to be baptized. Such ones are repentant and want to be free from their sin. This was the case with the Jews who had crucified Jesus when they heard Peter speak. “Now when they heard this, they were cut to the heart, and said to Peter and the rest of the apostles, ‘Men and brethren, what shall we do?’” Acts 2:37. It was such ones that Peter exhorted to be baptized. Verse 38. As with the Jews mentioned above, there are many people today who are sorry for their past sins and have purposed to live a life pleasing to God. Though it is evident that a certain maturity is needed to make such decisions, the proper attitude of heart is the main criterion for deciding to be baptized at any age. Jesus’ own words to His disciples confirm the needs for such ones to be baptized: “Go therefore and make disciples of all the nations, baptizing them in the name of the Father and of the Son and of the Holy Spirit.” Matthew 28:19. There are no references to infants being baptized in the Bible. What does baptism mean for my life? Though Christianity consists of a hidden life with God, baptism is an outward act in which we affirm our desire to follow Jesus on this inner way. Paul explains how we are to live this new life: “Or do you not know that as many of us as were baptized into Christ Jesus were baptized into His death? Therefore we were buried with Him through baptism into death, that just as Christ was raised from the dead by the glory of the Father, even so we also should walk in newness of life.” Romans 6:3-4. This “death” that Paul mentions is a death to my old life, where I choose to stop living according to my sinful human nature and tendencies. I can then begin to walk in “newness of life” by obeying God’s commandments. Being baptized does not free us from temptations but we can, as the writer of Hebrews states, overcome in temptation as Jesus did: “For we do not have a High Priest who cannot sympathize with our weaknesses, but was in all points tempted as we are, yet without sin. Let us therefore come boldly to the throne of grace, that we may obtain mercy and find grace to help in time of need.” Hebrews 4:15-16. We can live the rest of our life for the will of God, as Jesus did: “Therefore, when He came into the world, He said: ‘Sacrifice and offering you did not desire, but a body You have prepared for Me … then I said, “Behold, I have come—In the volume of the book it is written of Me—To do Your will, O God.”’” Hebrews 10:5-7. With such a purpose of heart, God will open His Word to us so that we can run on the way of His commandments. This new life will result in us reaping the blessings of God rather than the consequences of sin. We schedule baptisms twice a year, typically in March and September. 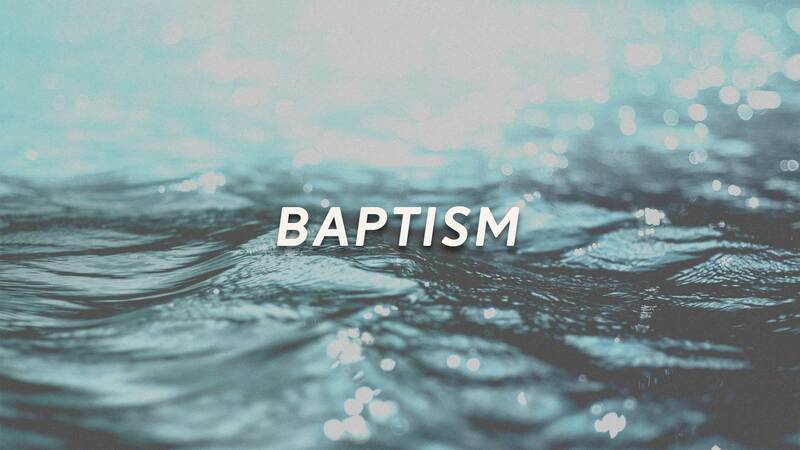 Our next baptism is scheduled for Sunday, April 21st. I’m looking forward to meeting you and walking through this important step in your Christian life with you. Please contact me at andy@springs.church if you have any questions.